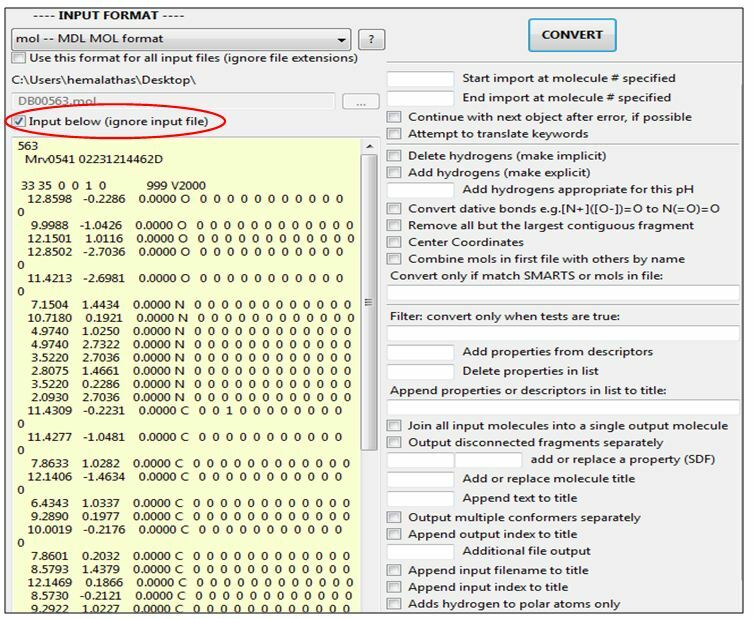 This experiment describes how to convert a “molfile” into “pdb” file using a chemical toolbox, OpenBabel. For more info about accessing the input file and installation of OpenBabel, go to simulator tab. Open “OpenBabel”. Figure 1 shows OpenBabel GUI. Here INPUT FORMAT and OUTPUT FORMAT are provided. 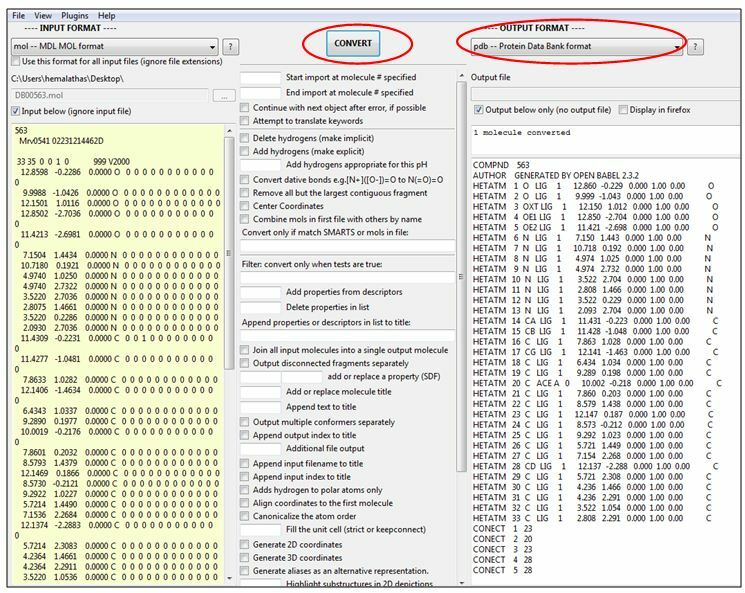 In this exercise, the mol file format should be converted into pdb file format. So the input format would be “mol -- MDL MOL format” and the output file format would be “pdb -- Protein Data Bank format”. Now the user has to uncheck the checkbox named “Input below (ignore input file)”, if it is checked. Then upload the “.mol” file using the browse button provided. Now check the checkbox named “Input below (ignore input file)”. The color of the input now changes into yellow color. 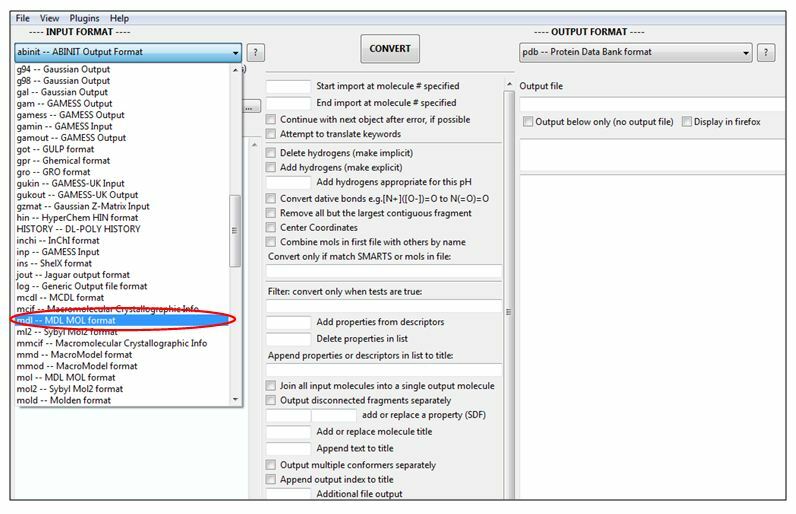 Next, the user should change the OUTPUT FORMAT to “pdb – Protein Data Bank format”. Click on the “CONVERT” button. The input file is now converted from mol format to pdb format. Uncheck the checkbox named “Output below only (no output file)”, if it is already checked. 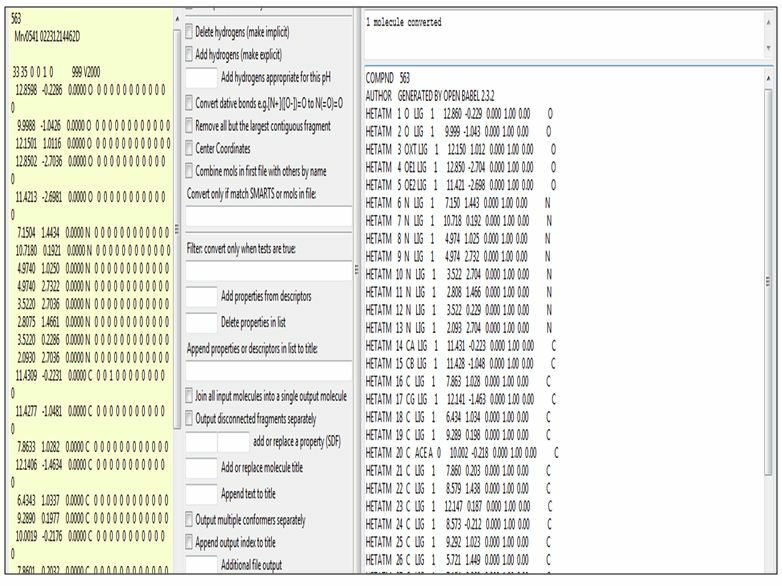 Then save the output file in “pdb” file format. 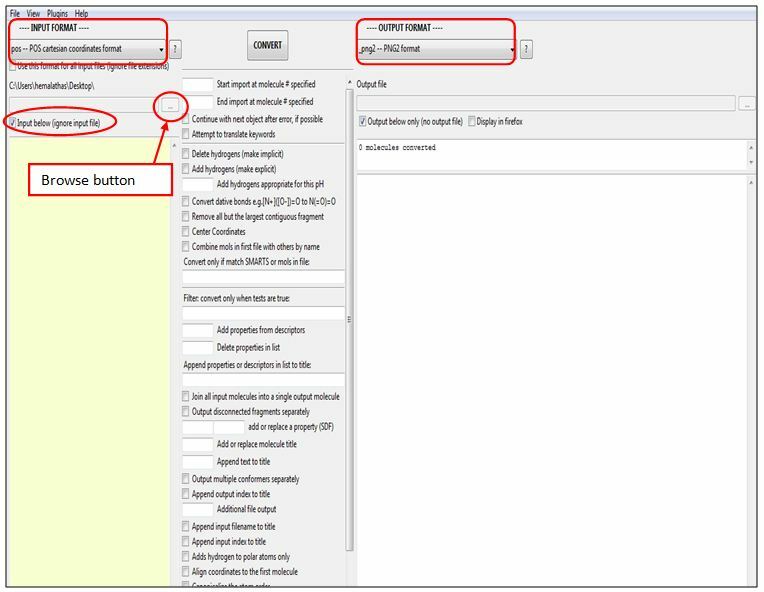 The browse button can be used to select the folder to which the file has to be saved.